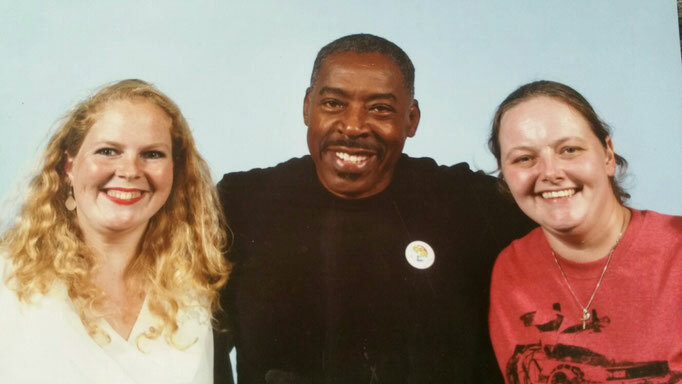 When you want to do a photo op at a convention, you might wonder: How does this work exactly? Well, that's what we are for! We'll help you through all the steps! 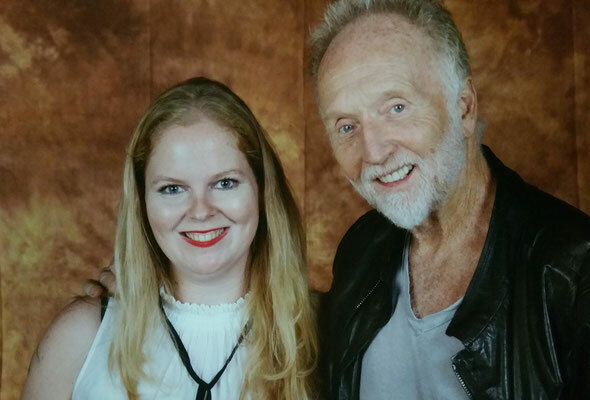 I really love doing photo ops. 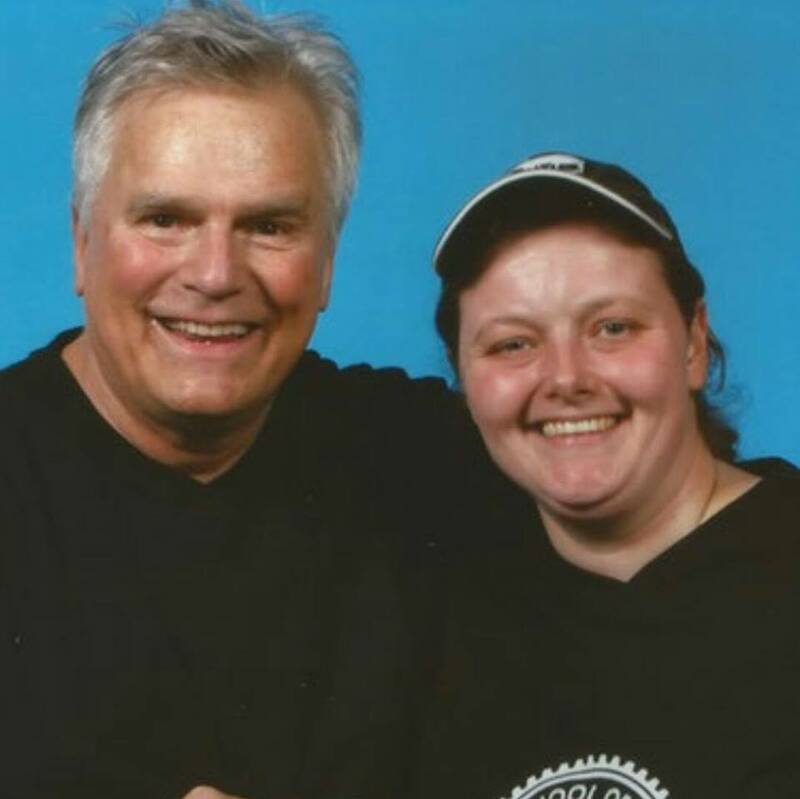 You will also have a photo to remind you how it was to meet your favorite actor or actress! But there's also a lot to know and to think of to make sure your photo op will go exactly as you want. here's our top 10 of things you NEED to know! In random order.. Looking for some photo op poses inspiration? 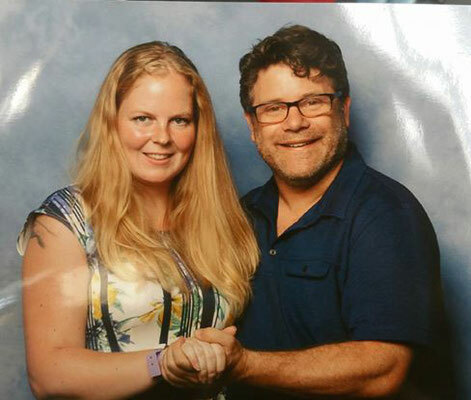 Check out our article about photo op poses! A photo op isn't free. You'll always have to pay for it. So do some research upfront. Mostly you can find the price of the photo op on the website of the convention you're attending. Prices vary a lot. I've seen prices go from 20 to 100 euros (22 - 112 dollars)! It all depends on how popular the actor is and how much the management asks. Often, you can already order your ticket for the photo op online. I like that. It will feel like I'm spending less money at the convention itself. 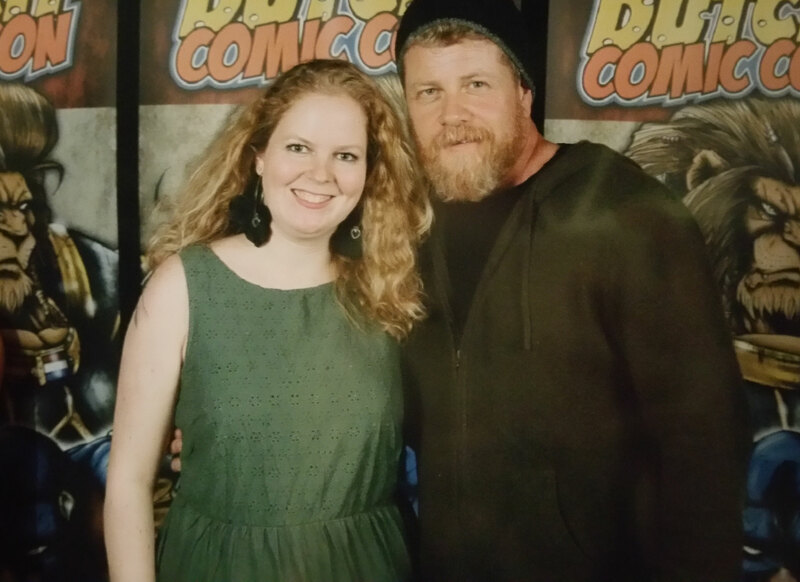 (because I paid the photo op upfront ;) ). 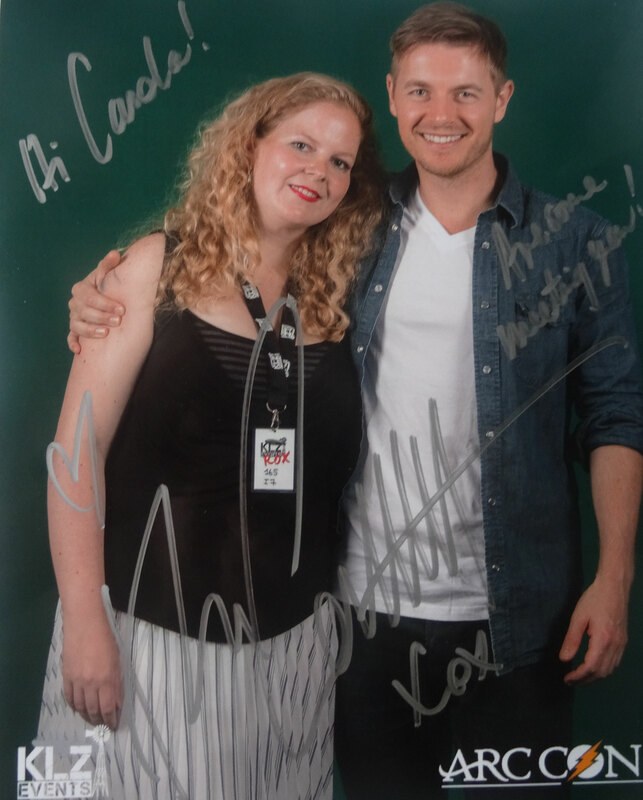 I also like to be sure that I will have the photo op (and that it won't be sold out before I have my ticket). A disadvantage is: If you buy it upfront a long time before the convention, you don't know the schedule yet. So you might be missing out Q&A's/ other activities. (So you're not sure on what day you can plan it best). Do you want to do your photo op alone or with a friend? Be sure to check the rules of the convention your attending! Sometimes it is allowed to go on the photo with 2 persons (with the actor) for 1 ticket. Sometimes you'll have to buy 2 tickets. Also check whether there's a limit to the amount of persons you can bring in 1 photo. Think about the pose you want to do on the photo. I'm really really bad at this one! I'm never prepared. Which means you'll usually get the default pose (Just standing next to each other --> SMILE!) But some actors just initate their own pose. 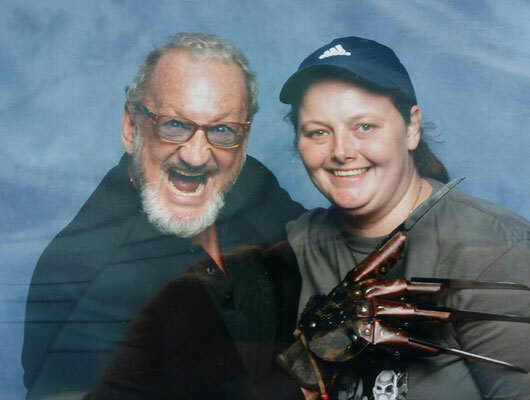 Check out the picture I had with Robert Englund and Sean Astin for example. Make sure you can easily explain the pose you want to do. Always ask the actor if he/she is up for it. And then quickly explain/ show a photo of the pose. Be aware that a photo op goes really, really quick. You can not give the actor/ actress any presents. Or actually have a whole conversation. EVeryone who wants a photo op is queuing. And literally takes seconds to do the photo op. When it's your turn: Do the pose. The photo will be made. And you leave. It depends per actor/ convention what you can say and if there's a few extra seconds. My photo op with Josh McDermitt went so quick I barely remember it. 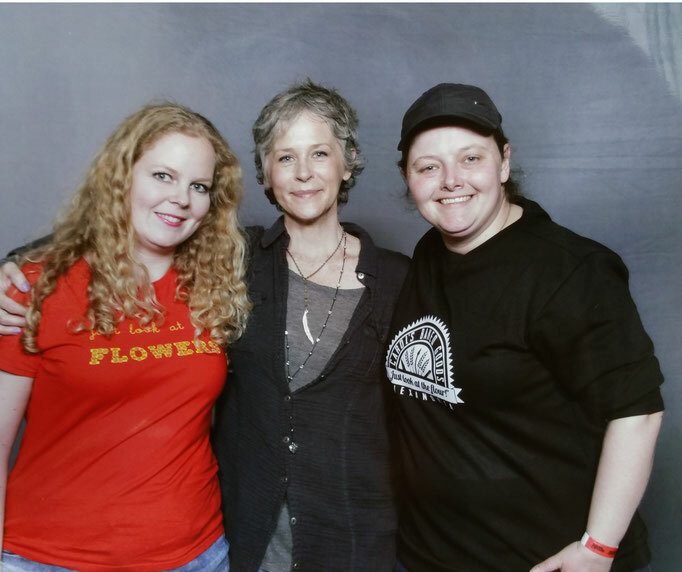 The photo op with Melissa McBride also went quite fast. 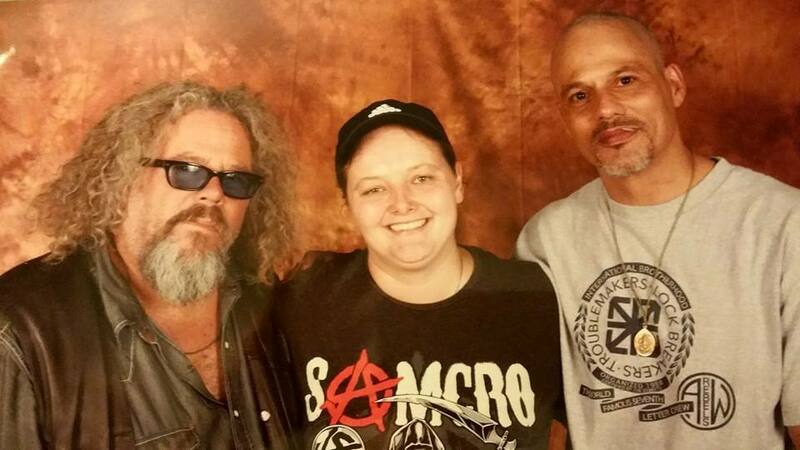 But Sean Astin, Shantel VanSanten, Tobin Bell, David Labrava & Mark Boone Junior actually did talk a bit. Which is of course very nice. I like it when there's at least a little bit of interaction. 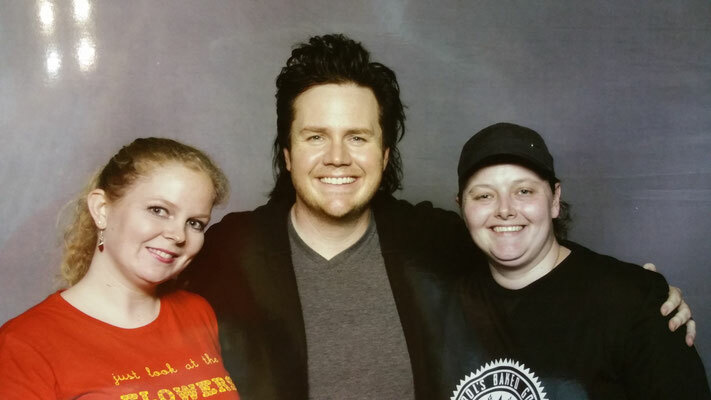 Photo op with Tobin Bell: Weekend of Hell & photo op with Josh McDermitt at Walker Stalker Con. Make sure to find out where to pick up the actual photo. This is also different per convention. At some conventions you receive the photo immediately. On other conventions you'll have to wait to pick it up. Be sure to know when and where to pick it up. Do you also want the digital version of your photo? Usually you'll have to pay extra for that. Make sure to find out how you get this and how much you have to pay! You'll probably look different on a photo op than on your own pictures. I do! And I usually hate how I look haha. Be aware that the photo will be taken in a few seconds. The will be bright light. And the photo is taken right in front of you. So, not from a flattering angle! Keep this mind while choosing your clothes, make-up or hairstyle. In the extension of 4 + 8: Think of you face. This may sound obvious (or vague). But here's what I mean: I am usually really really happy and nervous. Something that makes my face cringe in a certain way. And I always think I look strange. Or I have this huge convention smile (hello double chin). Or I don't really smile, but look like I'm super uncomfortable.. So I'm still trying to find my best convention face! Besides all this: Don't forget to enjoy!! You're meeting your favorite actor. Don't forget that!! Enjoy the moment. And say whatever you want to say. Do the pose you'd like to. You have this chance. Take it!! That's so cool! I love the pictures, I've never had anything like this, I'll surely try though. I didn't know that photo op isn't free. I haven't really attended a convention yet. There's a couple of convention that happened in the Philippines a few months ago and some of the feedback I read was that most of the attendees did not get a chance to have a photo op. A great behind the scenes read up on what goes on during photo ops with stars. Should I start charging when someone wants to have photos taken with me? Kidding. Seriously, it is that expensive huh? You really have to be a fan so that the price is worth it. I do agree with you, a few seconds for small talks would be best but I suppose that is impossible with lots of people lined up. And these stars are paid for a certain number of hours I guess. I didn't know that they charge you when you do a photo opt in a convention. All this time I thought it was all for fun and it's free of charge. So thank you for this information. I haven't been to a convention so that's why I'm really clueless. So I guess you can't have a picture taken with anyone unless you can pay them all! haha. And it better be someone you're a fan of so it would be worth it. I had no idea that this was even a thing! Even more surprised that you have to pay for it! I just assumed the actors would 'do it for the fans'. You have some great photos here! I have never heard of photo ops before, seriously! Your tips are great. 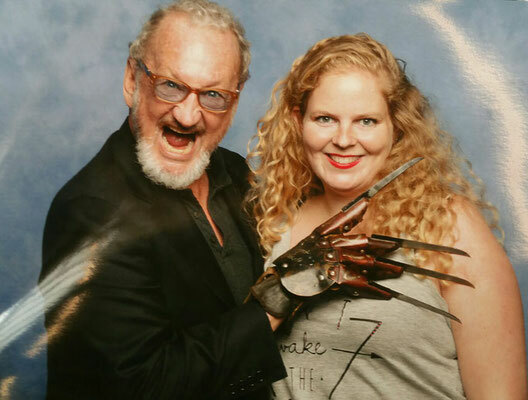 I'd say I still love the freddy krueger photo op. It beats the rest of the photos there. It 's great you were able to come up with a post like this. It's a sure hit for comic con fanatics and the newbies who wants to have a photo op with these artists. Great tips! I never really thought of the steps on how to get a photo op with someone famous. Maybe because I never really had a chance to had one. By reading through your post, now I know that there's a lot to think about. Also, I only knew now that there's a certain fee before I got my picture taken. I always thought that the artist is just kind enough to have his/her picture taken with their fans like us. Great tips! I thought photo op is free. It's like whrn yoy see a celebrity or some famous person you'll just need to ask them to take a picture with you. Well I guess Filipino are just too kind. As much as what I've experienced (from a book signing with someone I admire), there was no charge at all. I was shocked with the figures you shared about the price. You must really love going to conventions. I haven't been lucky yet to be able to attend or be a volunteer for one. I do wish that next time, I can and I'll remember the great tips you shared! Wow, I had no idea that you had to pay for taking the photo with the celebrity. I though that came with the ticket price. Wow...Kinda shocked. Thanks for the heads up. Now I know what to expect if I ever decide to go to one of these. I haven't tried any photo ops before. I didn't even know that you have to pay for it. But it is nice that you were able to take those photos and it is even nicer that you are giving us tips about how to do it. as one photo lover, i really really do appreciate these tips as hey are very very useful and of good use.. pose, lightning and time counts alot to me. Those Robert englund pics are simply brilliant! Great tips. For me it's all about that pose! As with many of the other commenters, I had no idea you had to pay for photo ops at a convention. It makes sense though, otherwise actors would be constantly bombarded for the entire day. You've have some great pics, and even if some of them did last just seconds, you'll have those memories forever. I didn't know this was a paid thing. But it is worth it and definitely the tips will be helpful for better results. I did not know you have to pay for it. Or it depends on the place? About the smile and face, haha I can relate, I get awkward shots because I feel nervouse and excited.